Outdoor excursions come with lots of uncertainties with regards to weather and terrain. The unforgiving outdoor conditions demand quality and fully functional gear. One of the most resourceful tools that you could bring along on a hiking trip is a hiking watch. Although the most reliable and effective outdoor watches tend to be expensive, you can still find a best hiking watch under 100. What is the best GPS watch for hiking? Not only is this watch the toughest, but it boasts of one of the biggest designs too. 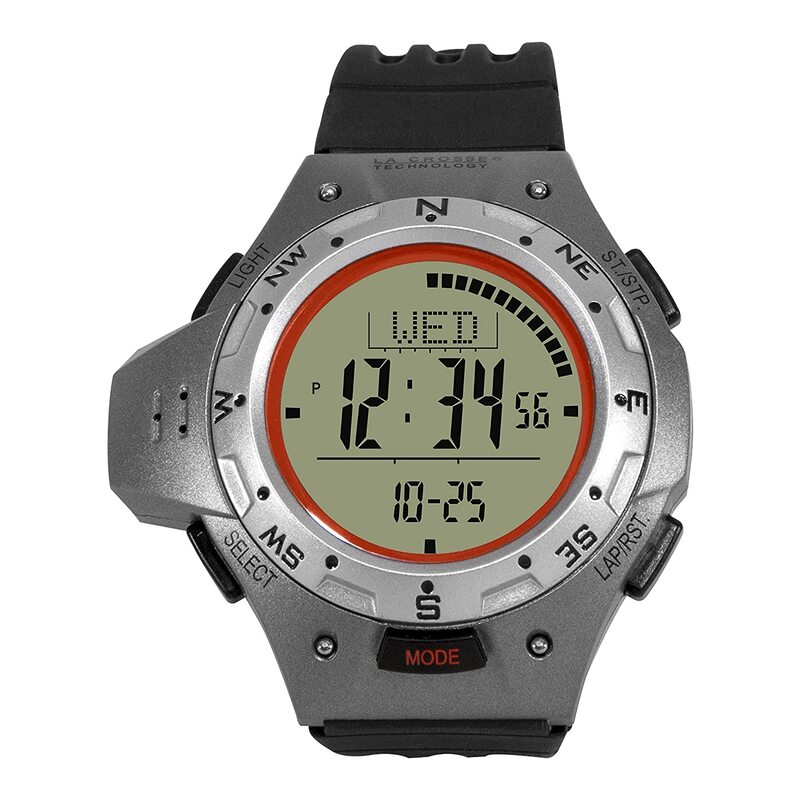 The Casio G-Shock rescue digital watch has proven to be extremely reliable and efficient for avid hikers. It offers a wide range of life-saving features that are vital for hiking. Viewing different parameters on the display is easy with EL backlight. Moreover, the watch has an afterglow for alerts, alarms, and countdowns. Unlike your ordinary hiking watch, this one features additional data including tide graphs and moon data. This is to keep you alert in the event of a storm or adverse weather. The overall design of the watch is geared towards making it indestructible in the worst hiking conditions. A mineral dial window ensures that the display is visible and intact at all times. Additionally, a 50 mm resin case keeps the main compartments secure. Not only is it strong but also shock absorbent and water resistant. 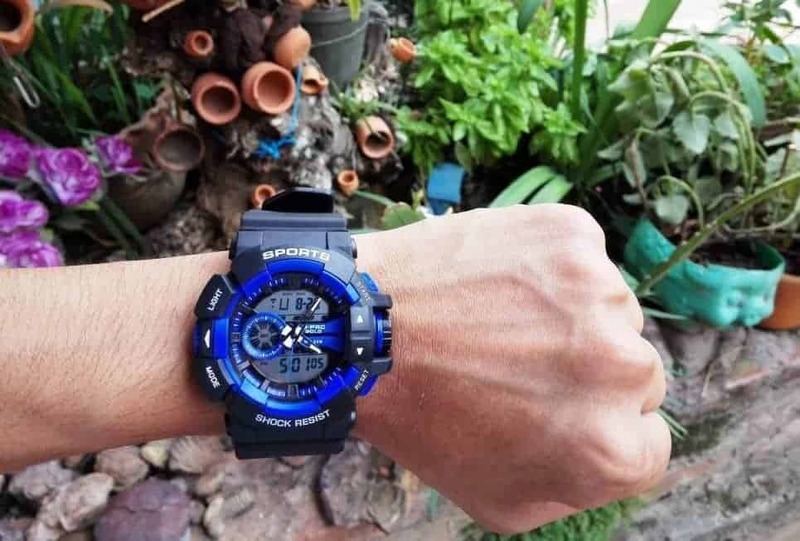 In fact, The Casio G-Shock rescue digital watch is a superb hiking timepiece that is treasured for its superb water resistance, marine-oriented features, and reliable construction. An indestructible steel top case ensures that the watch remains intact and functional at all times. On top of that, the structure is fortified by a resin case that makes it shock absorbent and resistant to scratches. It is also built with water-resistant properties of up to 100m to prevent any malfunctions. The Timex expedition grid shock watch includes numerous security and alarm features such as the hydration alert. Alongside it includes a stopwatch and a countdown to keep you on track. For easy reading, the watch has a visible, squared display. Its indigo backlight boosts visibility in dark spots. In fact, The Timex Expedition Grid Shock Watch is superb offering incredible visibility and durability for a hiking watch under 100. If you are looking for a cheap yet classy and highly functional hiking watch then the La Crosse technology XG-55 would be perfect. It has top features that every hiker would wish for. With water resistant capabilities of up to thirty feet, the piece is fit to survive the harshest hiking conditions. They ensure that you stay on the right track. The sensors will also keep you up to date with the prevailing weather conditions. Moreover, it is very lightweight hence giving you a comfy feel. In fact, The La Crosse Technology XG-55 is an appropriate product for anyone seeking an all-around durable digital hiking watch. A large digital face and a stylish design make the Casio men’s GD100 one of the best Casio hiking watch. It features a water resistance rating of up to 200m which is perfect for diving. Night visibility is possible owing to the automatic LED backlight. Its robust construction is capable of enduring harsh outdoor conditions. This includes a strong metal bottom and a sturdy rubber carcass. It is also shock absorbent. This feature heightens convenience as it allows you to adjust time within four different states or cities. For timely reminders, the watch has five different alarm settings. In fact, The Casio Men's GD100-1BCR is a quality hiking watch from a trusted brand. It offers exquisite functionality. The Epson ProSense 57 is a high-end watch featuring premium attributes. It has proven to be very effective in mountaineering although it is also fit for running and training. Moving on its rigid resin case makes it indestructible in the unfavorable outdoor environment. A reliable and durable battery guarantees safety for hikers. The watch is fitted with a quality battery that easily powers the GPS and keeps the watch functional at all times. A clear and highly visible display ensures easy readability of the watch’s parameters. Similarly, the menu is interactive and user-friendly. The watch is linked to the Epson view app that accounts for your activities while on a hiking trip. It shows the places you have been to, the duration and so on. Such data improves convenience. It comes with multiple tracking tools spearheaded by in-built GPS that monitors your movements. 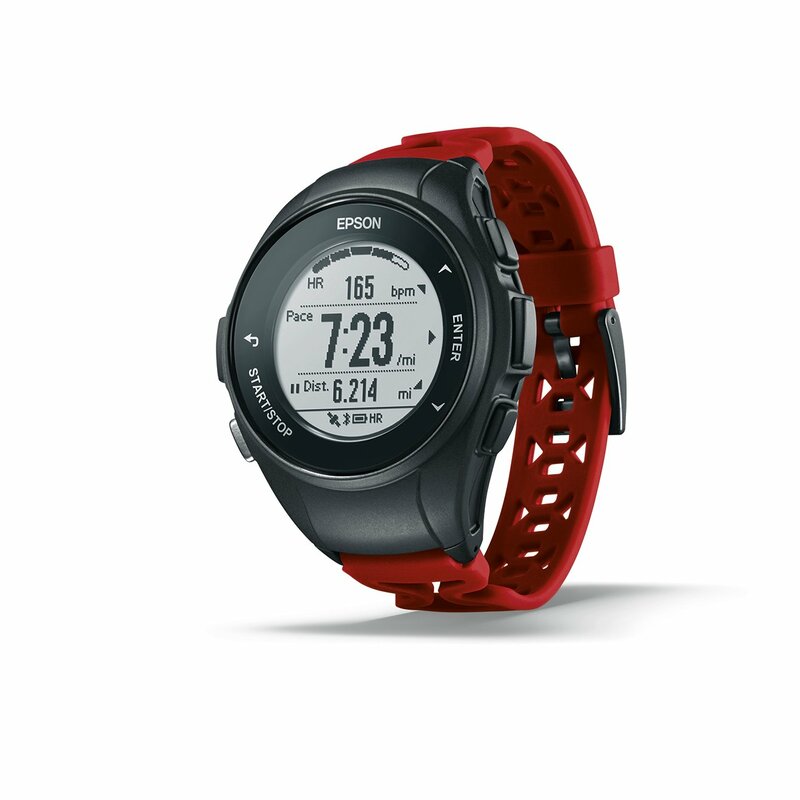 In fact, The Epson E11E222042 ProSense 57 is worthy hiking watch owing to its sturdy construction, durable battery life, and life-saving features. Hiking can never go wrong with the Lad-Weather outdoor watch. In addition to being multifunctional, the watch is available in seven unique colors. You also get to benefit immensely from its wide range of innovative features. This includes alarms, alerts as well as other remarkable tracking features. Its display is highly visible in low light thanks to an electrolumine scence backlight. Sophisticated features demand a long-lasting battery. This watch is fitted with a premium battery that will serve you for a long period. The watch has a reliable digital compass, chronograph, barometer, thermometer, and an altimeter. All these improve safety and convenience in the jungle. It is not easy to forget anything with this watch thanks to the numerous reminders that it has. It comes with a calendar, timer, stopwatch and daily alarm. Furthermore, it automatically resets in different time zones owing to a dual time mode. In fact, The Lad-weather outdoor watch is worth buying due to its pocket-friendly price and innovative tracking features. Some of the features that make EZON a best compass watch under 100 include a world-class design, durable battery life, and exemplary waterproof capabilities. It is a professional hiking gear with multiple functionalities. Rather than recharging your watch every once in a while, the EZON boasts of a replaceable CR2032 button cell with 365 days standby. The stylish display is reinforced by scratch-resistant glass. Likewise, the display has a backlight for visibility. In addition to that, the watch offers unparalleled water resistance of up to 50M owing to its strong structure. Water damage should be the least of your worry with this model. It is also tough, light and comfortable. It is an all in one model with multiple inbuilt tools. This includes a thermometer, barometer, altimeter, digital compass and weather forecast. All these are reliable and accurate. In fact, it is a world class product sold at a pocket-friendly price. 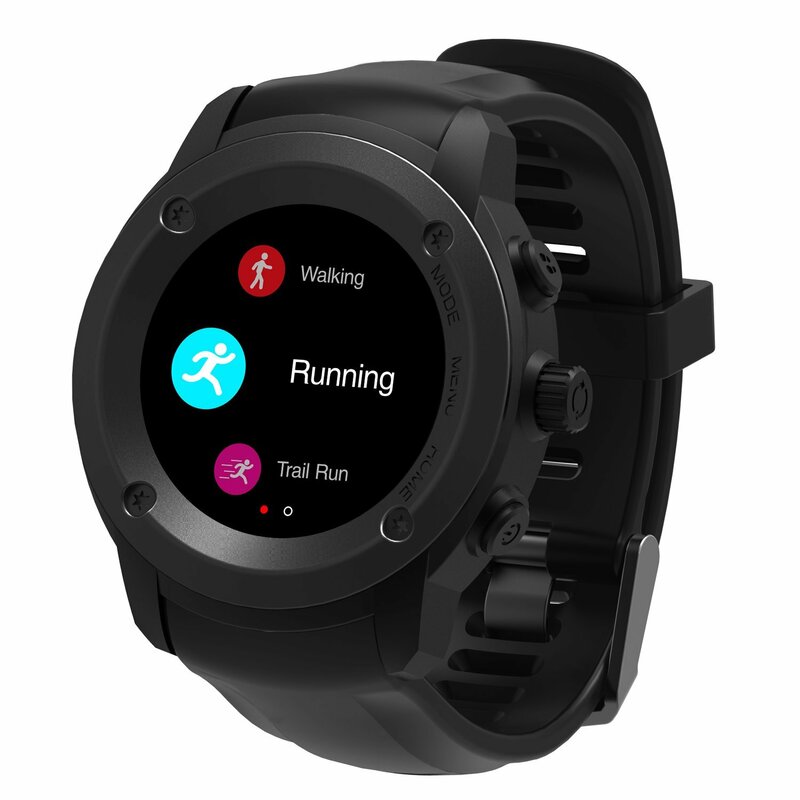 Although the Garmin Forerunner 35 falls slightly above the $100 marks in terms of price it comes with a combination of unique high tech features. It gives you the power to track movements thanks to powerful tracking tools. No doubt, slim and lightweight design makes the watch stylish and comfortable. The vibration alerts are more effective reminders and smart notifications. The watch has an easy to use a display that also happens to be very interactive. Its high resolution and powerful backlight ensure that the display is visible at all times. The armbands are made from a soft silicone material that makes it comfortable to wear even for long periods. Additionally, the bands are available in different colors. Plus, they are a little stretchy to fit on different arm sizes. The watch is sturdily constructed to fit the unforgiving outdoor setting. A strong resin case makes it water locked and also heightens its shock absorbing capabilities. 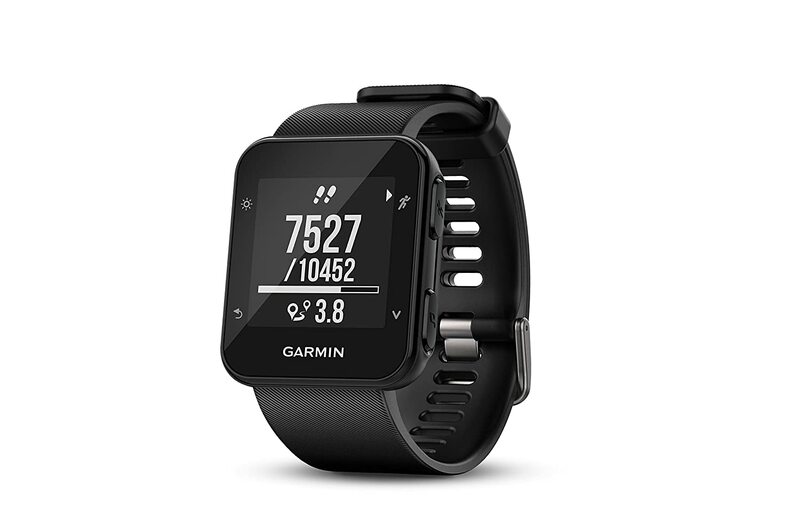 The tracking features include in-built GPS that captures pace, interval, and distance covered. Alongside that is a 24/7 heart rate monitor that is wrist-based. In fact, The Garmin Forerunner 35 is a high tech watch that offers value for your money. Hiking can never go south with this masterpiece. Elegance and exquisite quality are some of the attributes that define the large faced SUUNTO men’s watch. The watch offers immense functionality. It is loaded with multiple easy to use features. The watch is integrated with an accurate digital compass that will have you headed in the right direction. Along with that comes a barometer that will alert you of an impending storm. On the other hand, an inbuilt altimeter takes care of how high you climb. It comes with an innovative design that provides comfort and convenience. It is constructed to fit perfectly. Additionally, the watch is very lightweight. A robust case ensures that the watch is working in addition to making it water resistant. An ideal adventure needs a watch that is visible in the dark. Luckily, this watch has a standby electroluminescent backlight on the display. 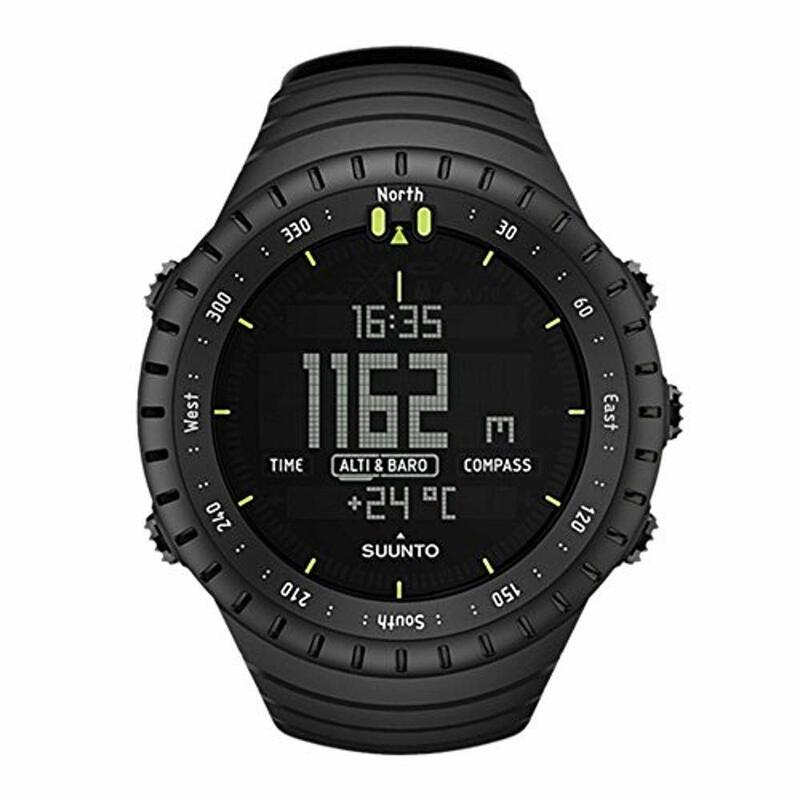 In fact, The SUUNTO Core All Black Military Men's Outdoor Sports Watch is a valuable hiking gear that will definitely exceed your expectations with its optimal functionality, sleek design, and convenience. Water damage is the last thing you need to worry about with the strongly built GPS steel smartwatch. Its structure and unique construction spell durability. In short, it is a premium multi-functional hiking watch that most avid hikers would die for. Very few watches in this class can allow you to make or receive a phone call but it is possible with this model. It also has a camera, phonebook, sound recorder, stopwatch and music player. This is the greatest selling point of the watch. A rigid stainless steel frame ensures that it stays unbreakable. Straps are made with quality silicone that is not just gentle on the wrists but comfortable as well. In-built GPS is at the top of the list. It also comes with a 24/7 heart rate and sleep monitor. Likewise, it includes an integrated altimeter, barometer, thermometer and alarm clock. The watch features a 1.3-inch touchscreen display that is one of a kind. Its high resolution is ideal for outdoor viewing in the light or darkness. 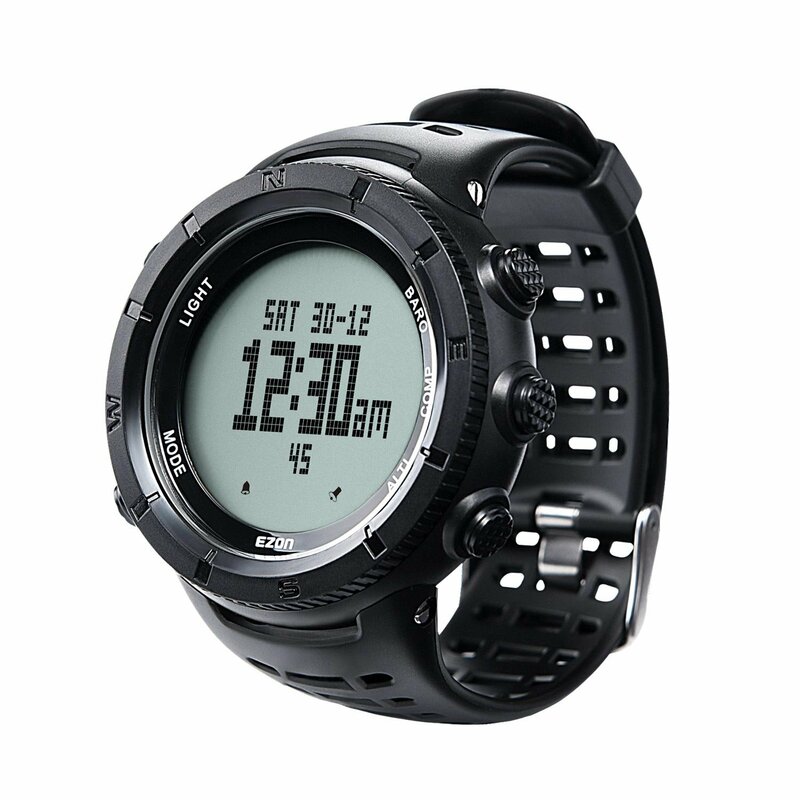 In fact, The GPS Running Watch offers mind-blowing durability for its pocket-friendly price. It is the ideal hiking watch. Actually, Casio altimeter watch boasts of water-resistant capabilities that extend to 330ft. This makes it excellent for muddy, wet and other rough conditions. This tough glass seals the top of the watch to keep out water or any other agents that might inflict damage. The heavy duty glass is also scratch proof for clear visibility. Of course, three-Year battery life makes the watch a reliable hiking gear. In fact, The Casio SGW1000 has proven to be a valuable hiking timepiece with exemplary adaptability and functionality. The rechargeable 350 lumens watch will surely not break your bank or wrist. It is great hiking watch complete with all the essential features that you need to enjoy time in the jungle. The watch outperforms other products in this class owing to its rechargeable battery. It is durable with the capability to sustain its high light for three hours and low light for eight hours. In addition, it is fast and easy to charge with a USB cable. 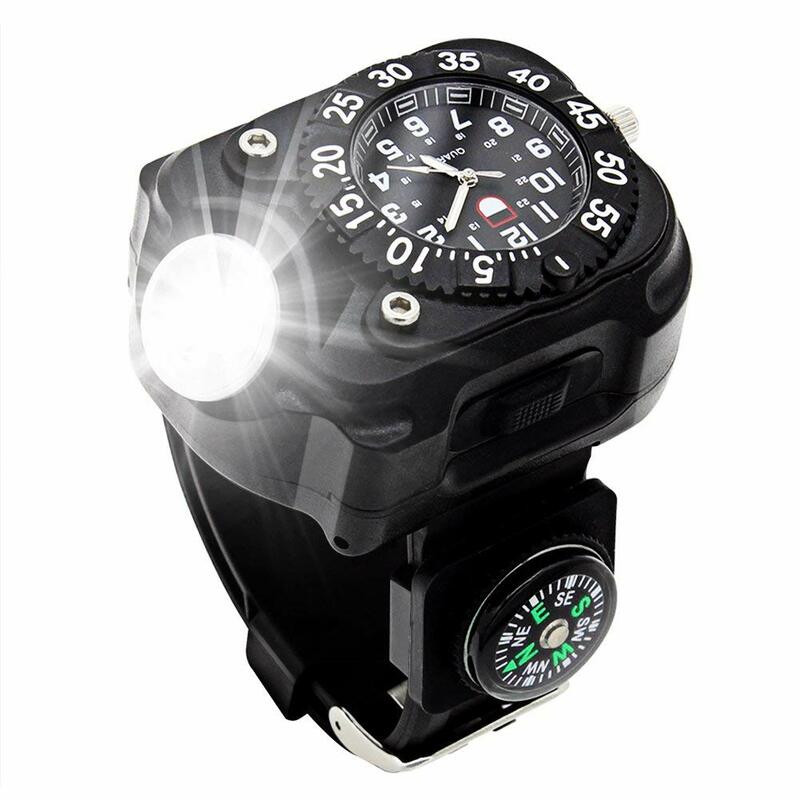 Not only is it a hiking watch, but also doubles up as a wrist light and compass. Although its face is large, the watch has a silicone band that is gentle on the wrists. Moreover, its case is constructed with ABS plastic that is tough to accommodate any shock that might be sustained in the jungle. Its firm structure is waterproof but becomes less effective when soaked in water. In fact, it is a strong and reliable hiking wrist watch exhibiting topnotch performance as well as functionality. In the first place, the best outdoor watches should include multiple physical and technological features for convenience. Nevertheless, it should have a comfortable design, GPS, a robust structure as well as other superior features. Our buying guide below provides exhaustive information on hiking watches and also reviews a wide range of cheap outdoor watches under 100. There are multiple ways in which a hiking watch can be defined depending on the features that it incorporates. However, the best definition of a hiking watch is that it is a compact multifunctional outdoor accessory worn on the wrist. Hiking watches are designed with numerous features that are geared towards making outdoor excursions easier and more enjoyable. Some of the basic tasks that a best backpacking watch should be able to perform include indicating location, direction, time, distance and altitude. The quality or functionality of any outdoor watch is anchored greatly on its price. A more sophisticated hiking watch will definitely be more expensive. Perhaps the most outstanding aspect of hiking watches is the ability to withstand the harsh and unforgiving outdoor conditions. This is reflected in the sturdy material from which they are made. Most watches in this class are shockproof, waterproof and almost indestructible. Why go for a hiking watch during hiking? As the name suggests, a hiking watch is specifically designed for the outdoor environment. Contrary to ordinary watches, a hiking watch features a strong design as well a wide array of safety enhancing features. The ideal hiking watch includes basic tracking features such as GPS and a compass. They eliminate any risk of a hiker getting lost. It should also display time, have an alarm or alerts to remind one of the different activities. The latest models come with in-built weather tracking tools including barometers, altimeters, and thermometers. Such tools can warn hikers of an upcoming storm or other adverse conditions. Choose the best hiking watch with an incredible display. Go for a display that is clear and easy to comprehend for an accurate reading. Some people prefer an analog display while others are okay with a digital one. The most basic features that any best watch for adventure travel should have are a compass and GPS navigation. They are essential for direction. However, modern-day watches incorporate premium features such as thermometers, barometers, altimeters and so on. Luckily, some budget hiking watch may also have these features as they heighten safety and convenience. Price can be misleading at times. You should always focus on the features of the hiking watch. Make sure that the features of the watch are worth its price. It is worthless to spend a fortune on a low-quality piece. Therefore, take your time to analyze the attributes versus the price of the watch you plan to buy. Hiking tests the strength and durability of a watch. The durability of a hiking watch is dependent on a few aspects. To begin with, the case has to be robust and water resistant. Moreover, the lenses ought to be scratch resistant to withstand the unforgiving outdoor environment. Generally, the whole structure should be strong to absorb sudden shocks and other hazards that might come up. You require a hiking watch that with longer battery life. This way you can confidently enjoy your hiking trip without the constant fear of your watch shutting down. Nowadays, some outdoor watches come with rechargeable solar batteries that are more convenient for outdoor excursions. The case ensures that the critical parts of the watch are safe from water or shock. Besides that, the watch is likely to fall or hit a hard surface. You need an unbreakable shell that will keep it working and intact at all times. Lenses of a backpacking watch matter a lot. Moreover, the strength or durability of the lenses depends on the quality of the material. Heavy-duty materials like crystal and sapphire have proven to be very effective as lenses. Besides being durable, the materials are scratch resistant and shockproof. One of the greatest fears that most hikers have to cope with is getting lost in the jungle. Huge mountains, tall trees, and thick forests limit vision making it easy for hikers to lose their sense of direction. Rather than putting yourself at the risk of getting stranded as well, it would be wise to get hiking watch with a compass. A compass can help you to determine the East, West, North and South directions effortlessly. Thus, ensure that your hiking watch is designed with a working and visible compass in order to stay on the right track. GPS and the compass are must-have features for any hiking watch. The GPS will indicate your precise location thus making your navigation seamless. Other forms of GPS go as far as showing speed and distance covered. You need a watch with GPS for convenience and to remain to worry-free while enjoying some outdoor time. Navigating through the extreme outdoor landscape can be tricky without a proper outdoor watch. That is why your hiking watch should have an altimeter or altitude meter. It indicates your altitude over a base level. This feature utilizes the fluctuations in air pressure of the surrounding environment to come up with the altitude. Considering that most outdoor excursions are done in mountainous areas, this feature can come in handy. Oxygen content tends to diminish as one gets beyond sea level. A proper watch will keep you on track in terms of altitude. Likewise, an altimeter can help you to trace your direction to safer ground. It is no secret that hiking terrain is rough and unpredictable. Therefore, you need a hiking watch that can be able to withstand such conditions. Most backpacking watches are thickly enclosed to make them shockproof. Nonetheless, the watch should be strong and durable. Quality materials like light metals alloys can enhance the durability and sturdiness of the watch. Another essential feature that a hiking watch should have is the ability to resist or keep water out. It is not strange to be caught up in a sudden downpour during hiking. Mountainous and forested areas are more prone to rainfall. Other than the rain, there are many other ways that can get your watch wet or drenched in water. This calls for a watch that will remain intact and functional regardless of the prevailing weather conditions. Plus, replacing a hiking watch damaged by water can be devastating financially. Waterproof is a vital feature for most if not all outdoor watches. The heart rate monitor ensures that one maintains the right pace while walking so as to avoid exhaustion. Although it is not a key feature, it can be life-saving for hikers with health problems. We all know that a thermometer is used to register the existing temperature within a particular surrounding. So why should your hiking watch have to work in built thermometer? The risk of running cold or getting frozen while hiking is real, especially in mountainous regions. Hence the essence of monitoring the surrounding temperature at all times goes without saying. A barometer almost works in a similar fashion as the altimeter although its uses are a little different. It is used to predict weather conditions by tracking changes in air pressure. For instance, whenever there is an impending storm, the air pressure drops immensely. In such a scenario, a hiking watch with a barometer can spell the difference between survival and death. To cut a long story short, you need a hiking watch with an inbuilt barometer to stay alert. In general, the best backpacking watch under 100 should have all the features that you need to stay safe and enjoy your hiking trip. Choosing a perfect cheaply priced watch takes time. However, the watches on this list are efficient, quality-oriented and highly reliable. Make the right choice for a stress-free hiking experience.